//Build complex, hollow composite parts faster. ST-130 Sacrificial Tooling Material simplifies the production of hollow composite parts. 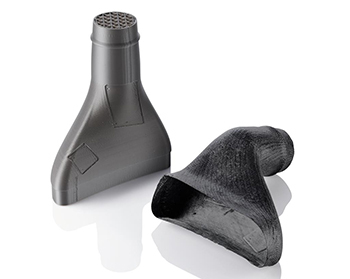 Complex tools can be 3D printed and easily dissolved after curing, eliminating secondary processes like mold making, while accelerating your composite lay-up work. Engineered and tested specifically for sacrificial tooling, ST-130 withstands the heat and pressure of autoclave curing. And it 3D prints with a permeable triangle fill pattern to cut build time, conserve material, and dissolve quickly.